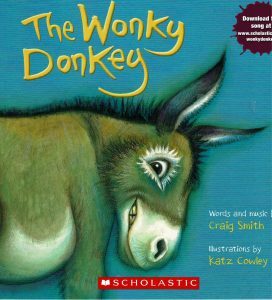 This month’s book for Reading with Friends will be “The Wonky Donkey” by Craig Smith with illustrations by Katz Cowley. Kids will enjoy the award-willing song in the book along with hilarious illustrations. The book will be read by special guest Dr. Bruce Douglas. Story time will begin at 10 a.m. Friday, April 12. The story times for children 3 to 5 years old are on the second Fridays of the month and all begin at 10 a.m. at Neighbor to Neighbor, 103 E. Sixth St. Each session includes playtime and a snack for the children, plus each child will receive a free copy of that day’s book to take home. The monthly program has been a part of Neighbor to Neighbor’s regular offerings since September 2012. This year’s Reading with Friends is made possible thanks to a grant from the Community Foundation for Cloud County. 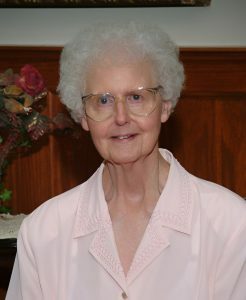 Sister Norma Schlick died April 8, 2019, at Nazareth Motherhouse in Concordia, Kan. She was 88 years old and a Sister of St. Joseph of Concordia for 71 years. She was born in Wood River, Neb., on June 8, 1930, to Walter and Cecilia Bohnart Schlick, the fifth of six children, and was baptized Norma Jean. She entered the Sisters of St. Joseph of Concordia on Sept. 8, 1947. On March 18, 1948, Norma received the habit of the Sisters of St. Joseph and was given the name Sister Mary Walter, later changing back to her baptismal name. She pronounced first vows on March 19, 1949, and final vows on March 19, 1952. Sister Norma received a BA degree in German Language and Literature in 1959; followed by a MA in German, French and Russian in 1961 from St. Louis University. This was followed by a year of study at the University of Munich, Germany, on a Fulbright Scholarship. She taught at Marymount College from 1962-1969. 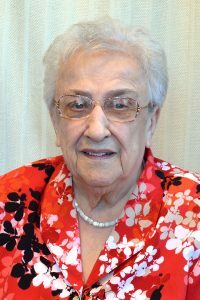 In 1971, Sister Norma was elected to the Executive Council of the Congregation and served two terms until 1979. In 1987 she was appointed as Secretary to the Congregation in which capacity she served for eight years. After retirement she moved to the Motherhouse in 2004. Sister Norma was preceded in death by her parents and four sisters. She is survived by one brother, Ted (Mary) of Grand Island, Neb., and several nieces and nephews. A Bible Vigil Service will be held at 7 p.m. April 11 in the Nazareth Motherhouse Chapel with Sister Marcia Allen as the eulogist. The Mass of Christian Burial will be 10:30 a.m. April 12 in the Motherhouse Chapel with Father James Hoover presiding. The burial will be in the Nazareth Motherhouse Cemetery. Nutter Mortuary, 116 E. 6th St., Concordia, is in charge of arrangements. Memorials for Sister Norma Schlick may be given to the Sisters of St. Joseph Health Care/ Retirement Fund or the Apostolic Works of the Sisters; P.O. Box 279, Concordia, KS 66901. 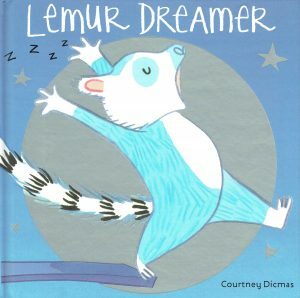 This month’s book for Reading with Friends will be “Lemur Dreamer” by Courtney Dicmas. Kids will enjoy this beautifully illustrated book that shows the power of friendship! The book will be read by special guest Lindsay Metcalf. Story time will begin at 10 a.m. Friday, Feb. 8. The monthly program has been a part of Neighbor to Neighbor’s regular offerings since September 2012. The next Reading with Friends events will be March 8. 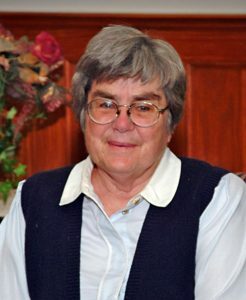 Sister Margaret Jilka died Dec. 12, 2018, at Mt. Joseph Senior Village in Concordia, Kan. She was 88 years old and a Sister of St. Joseph for 69 years. She was born on Feb. 17, 1930, in Salina, Kan., to Jerry and Agnes Wearing Jilka, the fifth of five children, and was baptized Margaret Mary. She entered the Sisters of St. Joseph, Concordia on Sept. 8, 1948. On March 19, 1949, Margaret received the habit of the Sisters of St. Joseph and was given the name Sister Mary Eugene. Later, she returned to her baptismal name, Margaret. She pronounced first vows on March 19, 1950, and final vows on March 19, 1953. Sister Margaret received an BA in English from Marymount College, a MA in religious studies from the University of Detroit, and a MA in theology from Fordham University. She was a religious education teacher at Catholic schools in Cawker City, Grand Island, Neb., and Salina. In 1990, she became hospital chaplain at St. John’s Hospital, Salina, until her retirement in 2006. In 2008, she moved to the Motherhouse and then to Mt. Joseph Senior Village. Sister Margaret was preceded in death by her parents, three brothers and one sister. A Bible Vigil Service will be held 7 p.m. Dec. 16 in the Nazareth Motherhouse Chapel with Sister Eulalia Kloeker as the eulogist. The Mass of Christian Burial will be 10:30 a.m. Dec. 17 in the Motherhouse Chapel with Rev. Jim Hoover presiding. The burial will be in the Nazareth Motherhouse Cemetery. Chaput-Buoy Mortuary, 325 W. Sixth St., Concordia, is in charge of arrangements. Swim along with the pout-pout fish at Neighbor to Neighbor as he discovers that being glum and spreading “dreary wearies” isn’t really his destiny. 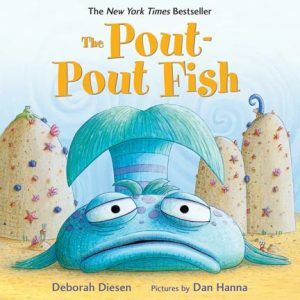 Bright ocean colors and playful rhyme come together in Deborah Diesen’s fun fish story, “The Pout-Pout Fish,” that’s sure to turn even the poutiest of frowns upside down. The book will be read by special guest Suzan Haver. Story time will begin at 10 a.m. Friday, Nov. 9. The monthly program has been a part of Neighbor to Neighbor’s regular offerings since September 2012. The next Reading with Friends events will be Dec. 14.